Kendra Y. Mims-Applewhite is a storyteller, author, ghostwriter and content creator with a passion to create stories and content to empower others. KYM has more than 10 years of editorial experience, including magazine writing, ghostwriting, content marketing and content editing. Kendra Y. (Mims) Applewhite, founder of KYM Writes, is a writer, author and editor in the Chicagoland area. She graduated with a BA in Journalism from Columbia College Chicago and has more than 10 years of editorial experience, including magazine writing, ghostwriting, content marketing and content editing. 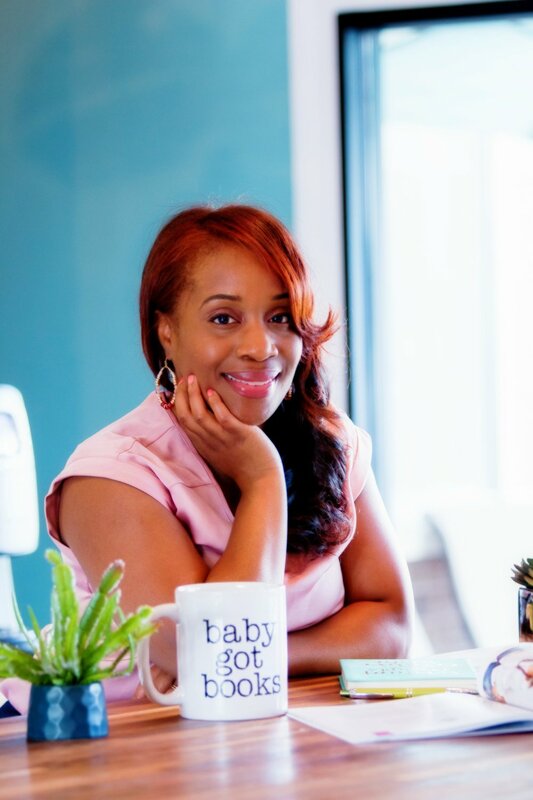 Her work has appeared in national print and digital publications, including Ebony magazine, She Knows Media and award-winning healthcare publications. She also writes and edits publications for nonprofit organizations. Kendra is a proud introvert, a bit of a nerd (how much is debatable to those who really know her) and loves all things bookish & creative. When she is not writing, she can be found with her head in a good book, trying new restaurants with her hubby, working out or unleashing her inner movie buff. Kendra also writes fiction and published her first short story "Loose Change" in the Avalon Literary Review. She is currently working on her first novel and short story collection. I LOVE STORIES, WHETHER I AM READING THEM OR WRITING A SHORT STORY OR MAGAZINE ARTICLE TO ENTERTAIN, INSPIRE OR INFORM. I'm a creative writer, storyteller, author, content creator, coffee chic, big dreamer, believer, recovering procrastinator, unashamed binge-watcher and a book junkie who loves God and His gift of life. My love for writing, storytelling and reading started many years ago. I explored writing short stories as a child, and my passion for the pen grew from there. My parents always encouraged me to become a writer and supported my passion. As an analytical introvert with a tendency to overthink my Starbucks drink order, writing is one of the few things I’ve always been 100 percent sure about my entire life, and I’ve never second guessed my career choice. What can I say? I love this writer's life! I began my professional writing career more than 10 years ago, and I've spent almost a decade writing and editing content for health publications and nonprofit organizations. My editorial background includes a variety of writing and editing projects, such as ghost writing, magazine writing, digital copywriting, speech writing, book editing for indie authors and crafting compelling bios for entrepreneurs and authors. I also currently write full-time for a nonprofit in the Chicagoland area. I was born in New York but have lived most of my life in the Windy City. I currently reside in the Chicagoland area with my amazing, God-sent hubby, Rick. Throughout my writing journey, I've always had a heart to inspire and entertain others through storytelling. My purpose for writing took on a deeper meaning when I lost my mom to cancer in 2015. I began to write through the grieving process, and journaling became a huge part of my healing process. Whether I'm writing fiction stories, narratives, nonfiction content or blogging, I plan to use my pen and this space to encourage people. To tell stories and create characters to which others can relate. To help people realize their own strength in the midst of pain. And to illustrate how we can use our stories to help each other heal and overcome trials through faith, hope and love. My loss and major life change inspired me to create a space to share my personal musings & stories on life, love and loss and to help others tell the stories on their heart. Transition can be hard — even when the change comes in the form of a joyous moment. 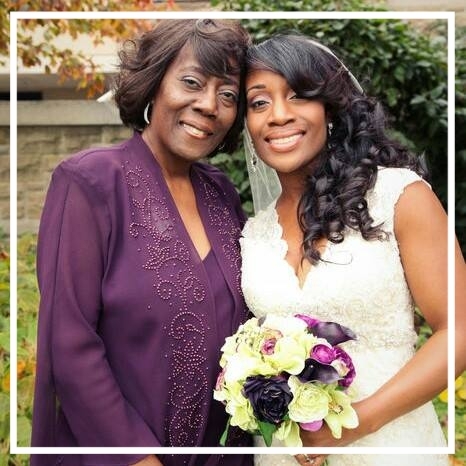 Nine months after I walked down the aisle to marry my husband, I lost my mom. As I was adjusting to my life as a newlywed, I suffered a loss that deeply impacted my life at a pivotal point. I never imagined I’d go through a change of this magnitude at thirty-something years old. My struggles with faith, self-care and pursuing my creative work while dealing with my loss inspired me to create a space to share my personal musings and stories on life, love and loss and to help others tell the stories on their heart. Whether you’re dealing with adversity, obstacles or a major life change (good, ugly or somewhere in between), you’ll find resources, content, stories and personal narratives here to help you pursue your dreams, cope with everyday life and encourage you right where you are. Maybe you've lost your passion to do the things you once loved or you forgot your potential. Life happened, and the transition has left you stuck, overwhelmed and not too hopeful about the vision you once had for your life. I know how hard it is to stay productive and on top of your game, pursue your dreams or return to work without any focus or excitement. • The dreams/career you once envisioned for your life can alter as your life changes • Your faith may be shaken up in the midst of your circumstances • Self-care becomes a struggle because you are just trying to get through the basic day-to-day activities. In my greatest moments and darkest nights, my love for the pen always remained and has helped me get through hard times. Although life is hard and unpredictable at times, I still want to write. I still want to pursue my God-sized dreams - the familiar ones from childhood and the new ones that were birthed from life's storms. I've discovered that our pain can be repurposed for an assignment much bigger than ourselves. I still want to make the most of this journey and make a difference. I had a vivid imagination as a child. One day, I picked up the pen and realized I could use my creativity to bring words to life. My mom noticed my gift and started nurturing it at a young age. We took trips to the local library frequently, and I spent countless hours reading books and writing stories. One day, my mom received a phone call from my elementary school about a story I wrote for class, “The Big Splatter.” My third-grade teacher submitted my short story for a contest (I had no clue! ), and I won my first award for writing. In that moment I realized I could actually do this, and ever since I walked across that stage to accept my award, I’ve never wanted to pursue anything else. My mom was my biggest supporter, always one to commend my talent or send me journals as a reminder to keep pursuing my writing goals. She read all of my articles and every short story I wrote up until the year she passed. My mom always believed I would become a writer. She often encouraged me to finish my book projects. There was a moment after she passed when I wondered, what’s the point of continuing if she’s no longer around? But eventually I realized my mother pushed me to use my gift, and it’s a huge reason I started writing and kept at it over the years. How could I not continue? Although she’s no longer here, my writing is a way for me to honor her and uphold her legacy. She’d want me to keep writing to encourage others and to achieve the dreams I often shared with her. She’d be proud, and I believe she is still cheering me on. Maybe your life transition comes in the form of grief like mine, or maybe it’s something else. EITHER WAY, IT IS MY PRAYER AND HOPE THAT my site's CONTENT, RESOURCES AND my own story-in-progress will ENCOURAGE YOU WHEREVER YOU ARE IN LIFE RIGHT NOW. There is hope in knowing that adversity and heartbreak are not the end of our story. God can revise the painful chapters in our lives to create something new inside of us so that we can use our stories to encourage others along the way. So what's next for kym writes? I'm currently working on my debut novel. This book project is my baby and I can't wait to see it grow and develop. Check out my Author Page for novel updates. I also work with others to help them make an impact with their words and write with purpose through my ghostwriting and editing services. 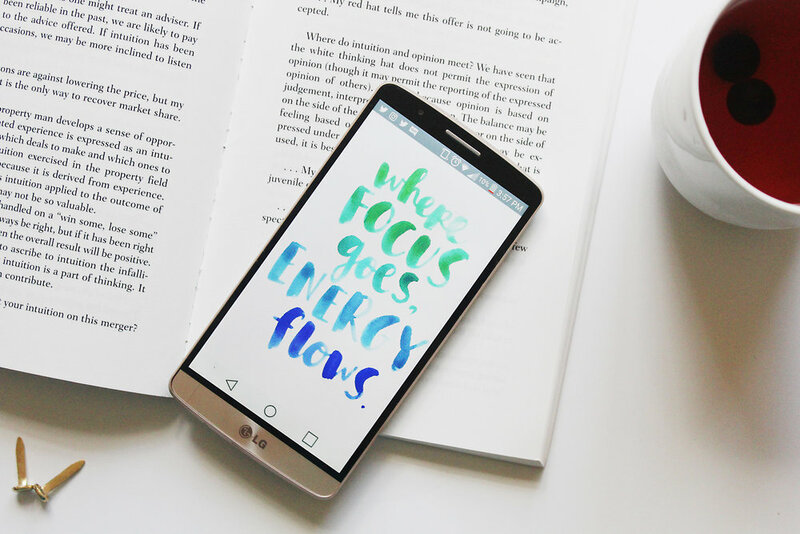 If you want to know how I can help you tell your story, create content the write way and take your writing to the next level, check out my services here. Have a question or comment? Hit me up here. Thanks for reading and stopping by! I look forward to seeing more of you.